Part of the Department of Justice, the United States Attorneys serve as the nation’s principal litigators under the direction of the Attorney General. Ninety-three attorneys are stationed throughout the US, as well as Puerto Rico, the Virgin Islands, Guam and the Northern Mariana Islands, representing the chief federal law enforcement officer within their jurisdiction. US Attorney’s Office districts are synonymous with the judicial districts within the United States. US Attorneys are all appointed by the President for four-year terms, and thus they serve at his pleasure. In 2007, the US Attorneys became the focal point of the one biggest controversies of the Bush administration when it was revealed that several prosecutors were allegedly fired for political reasons. The scandal resulted in the resignation of Attorney General Alberto Gonzales. Before the establishment of the DOJ, the US Attorneys functioned independently of the Attorney General (AG). Only in 1870, with the passage of legislation creating the DOJ, did the attorneys come under the AG’s supervision. The United States Attorneys serve as the nation’s principal litigators under the direction of the Attorney General. The 93 United States Attorneys are stationed throughout the US, as well as Puerto Rico, the Virgin Islands, Guam and the Northern Mariana Islands. One of the most important roles of a US Attorney is that he/she is the “chief federal law enforcement officer of the United States within his or her particular jurisdiction.” US Attorney’s Office districts are synonymous with the judicial districts within the United States. These districts were originally determined by the Judiciary Act of 1789, which divided the country into 13 judicial districts. New districts are added as a result of factors including but not limited to population, politics (including the influence of the senators of the state), economic activity and commercial activity. These districts are created by Congress. US Attorneys are all appointed by the President for four-year terms. The Judicial Conference of the United States also makes important recommendations on individuals nominated for these posts. The US Attorney’s Office is divided into three divisions—tax, criminal and civil. The Criminal Division investigates and prosecutes federal crimes, including but not limited to terrorism, violent offenses, drug trafficking, public corruption, computer crimes, as well as white collar and organized crime. The Civil Division represents the United States in affirmative civil actions brought against individuals, business entities and other civil defendants. And the Tax Division handles both civil and criminal tax cases. The Office of US Attorneys also manages the Office of Legal Education. This office provides programs for federal government personnel to learn at the National Advocacy Center (NAC). The NAC trains federal, state and local prosecutors and litigators in advocacy skills and management of legal operations; more than 10,000 are trained annually. Another office maintained under the US Attorneys is the Office of the Victims' Rights Ombudsman. This office investigates complaints filed by crime victims against its employees and it implements Procedures to Promote Compliance with Crime Victims' Rights Obligations. Two indictments were handed down against San Diego defense contractor Brent R. Wilkes, who was accused of corruption involving former Congressman Randall “Duke” Cunningham and former CIA Executive Director Kyle “Dusty” Foggo. The first indictment charged Wilkes with providing more than $700,000 to Cunningham in return for the former Congressman’s help in steering government contracts to Wilkes’s company, ADCS, Inc., in Poway, California. According to Assistant US Attorneys, Wilkes allegedly paid the bribes to Cunningham in the form of cash, checks, meals, limousine service, corporate jet travel, lodging, furnishings, boats and marine equipment, prostitution services, vacations and entertainment. Cunningham failed to disclose any of these benefits on the Financial Disclosure Statements that he filed with the House of Representatives. In return for receiving these bribes, the indictment alleged that Cunningham used his public office for nearly a decade to influence the awarding of more than $100 million in defense contracts to Wilkes. The second indictment charged that Foggo used his seniority and influence within the CIA to steer contracts to his life-long friend, Wilkes. The indictment alleged that Wilkes and Foggo carried out their scheme by using shell companies and straw men to conceal Wilkes’ role and interest and to launder the proceeds of their fraud. US Attorneys claimed Foggo received tens of thousands of dollars in various meals, gifts, and vacations and a standing offer of a senior executive position with Wilkes’s company. None of these benefits were disclosed by Foggo on the Financial Disclosure Statements that Foggo filed with the CIA. The indictment further alleged that Foggo not only used his position to influence the awarding of CIA contracts but also used his position to assist Wilkes in obtaining money from other CIA contractors. Chiquita Brands International, Inc. (“Chiquita”), a multinational corporation incorporated in New Jersey and headquartered in Cincinnati, OH, pleaded guilty in the US District Court for the District of Columbia to one count of engaging in transactions with a “specially-designated global terrorist.” Under the terms of the plea agreement, Chiquita’s sentence included a $25 million criminal fine, the requirement to implement and maintain an effective compliance and ethics program and five years’ probation. Chiquita also has agreed to cooperate in an ongoing investigation. The plea agreement arose from payments that Chiquita had made for years to the violent, right-wing terrorist organization United Self-Defense Forces of Colombia–an English translation of the Spanish name of the group, “Autodefensas Unidas de Colombia” (AUC). The AUC was designated by the US government as a Foreign Terrorist Organization on September 10, 2001, and as a Specially-Designated Global Terrorist (SDGT) on October 31, 2001. These designations made it a federal crime for Chiquita, as a US corporation, to provide money to the AUC. Haniffa Bin Osman, 55, a citizen of Singapore, Haji Subandi, 69, a citizen Indonesia, and Erick Wotulo, 59, a citizen of Indonesia and a retired Indonesian Marine Corps General, all pleaded guilty to conspiracy to provide material support to the Tamil Tigers, a designated foreign terrorist organization. Money laundering and attempts to export arms were among the charges brought by US Attorneys. A federal jury in Los Angeles convicted singer-songwriter Ronald Isley of five counts of tax evasion and one count of willful failure to file a tax return for concealing millions of dollars of income from the Internal Revenue Service. During a three-week trial with almost 20 witnesses, federal prosecutors showed that Isley received millions of dollars in cash and spent his money on a luxurious lifestyle. From 1997 through 2002, Isley evaded the payment of more than $3 million in federal income taxes. Isley evaded the payment of income taxes in a variety of ways, including depositing and using for his own benefit royalty checks that were issued to other Isley Brothers-related entities and persons, including Okelly Isley, Isley’s deceased brother. Isley also required that one-half of the guaranteed fee for each tour date be delivered to him in cash on the date of the performance. While on tour, Isley paid his musicians and performers in cash, making it difficult to determine how much cash Isley retained from the up-front fee. The balance of the tour performance fees were generally deposited into a bank account in the name of Isley Brothers Music Corporation. The prosecutors argued to the jury that Isley created a vast web of bank accounts and shell companies that he used to conceal his income. Zhivargo McBride, 25, was sentenced to 15 years in prison following his conviction on three counts of second degree murder, eight counts of alien smuggling for profit, three counts of bringing in aliens at a place other than a designated port of entry resulting in death, and one count of bringing in aliens at a place other than a designated port of entry resulting in serious bodily injury. McBride, a Bahamian citizen, is subject to deportation and removal from the United States upon his release from prison. McBride captained a boat containing eight illegal aliens attempting to reach the United States from the Bahamas. As the vessel approached the beach in Broward County, Florida, McBride ordered the aliens off the boat and into deep, rough ocean water. Ultimately, one alien was seriously injured when he was struck by the boat’s propeller and three aliens drowned while attempting to reach shore. Nabil Al Rowais, 37, of Saudi Arabia, was sentenced to a term of seven years in federal prison and supervised release for a period of eight more years for traveling to the United States for the purpose of engaging in illicit sexual conduct with a minor. Rachel Reyes, 29, of Williamsburg, VA, was sentenced to 55 months in prison, three years of supervised release, and ordered to pay $415,754.84 in restitution in connection with her role in distributing fraudulent celebrity memorabilia items on eBay. According to court documents, Rachel Reyes, her husband Jeffrey Reyes, and her mother, Nancy Selisker, operated their own eBay accounts for the sale of the counterfeit memorabilia, which included record albums and photographs of celebrities with forged signatures. To conduct the fraud scheme, the three defendants purchased unsigned memorabilia from various locations in Virginia and then forged celebrity signatures on those items. The items subsequently posted the items for auction on eBay's Internet website. The listings falsely described these items as authentic and offered fraudulent certificates of authenticity. Steven J. Miller of Gulfport, MS, was sentenced to serve six months in prison followed by two years of supervised release for FEMA Fraud. Miller was also ordered to pay $4,358in restitution to FEMA. Miller pled guilty in December 2006 to submitting a false claim to FEMA for Hurricane Katrina disaster assistance funds. Miller caused $4,358 to be mailed from FEMA by providing a false address in Gulfport and claiming hurricane damage at that address. A former Bureau of Engraving and Printing employee, David C. Faison, was sentenced to nine months in prison for stealing 21 sheets of partially printed $100 bills with a face value of $67,200 from the US Bureau of Engraving and Printing. Faison, 56, was also ordered to pay restitution in the amount of $37,200, which was the total amount of partially printed $100 bills he placed into circulation before law enforcement agents searched his house and recovered more than nine sheets of partially printed $100 bills hidden in a roll of wrapping paper in his closet. New Jersey State Senator Wayne R. Bryant was indicted by a federal grand jury, accused of unlawfully using his power and influence to obtain a paid, no-work job at the University of Medicine and Dentistry’s School of Osteopathic Medicine in exchange for lobbying and bringing millions of dollars in extra funding to the school, and using that job and others to fraudulently nearly triple his state pension. Carlos Caro, 40, formerly a prisoner at the US Penitentiary in Lee County, Virginia, was sentenced to death for the first degree murder of his cell mate. Caro was the first person to be sentenced to death by a federal jury in the Western District of Virginia in recent history. 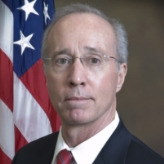 W. Patrick Syring, a former Foreign Service officer with the State Department, was sentenced in federal court in Washington, DC, on federal civil rights charges of threatening employees of the Arab American Institute (AAI) because of their race and national origin. Syring was sentenced to two concurrent sentences of 12 months of imprisonment followed by 3 years of post-release supervision and 100 hours of community service, and was ordered to pay a $10,000 fine. Syring, 50, pleaded guilty to a federal civil rights charge for race- and national origin-based interference with the victims’ federally protected right to employment and to a second charge for the interstate transmission of threatening communications. Syring admitted that in July 2006 he sent a series of threatening email and voicemail communications to six employees of AAI, a nonprofit organization that promotes Arab-American participation in the US electoral system and public policy issues. Syring also admitted that he intended to intimidate the victims and interfere with their employment because of their race as Arab-Americans and their national origin as Lebanese-Americans. An additional email from Syring condemned AAI for a fatal shooting at the Jewish Federation of Greater Seattle in July 2006 that was committed by a lone gunman who had no affiliation with AAI. Gregg William Bergersen, 51, of Alexandria, Virginia, was sentenced to 57 months in prison and three years of supervised release for conspiracy to disclose national defense information to a Chinese spy. The criminal conduct occurred while Bergersen was a weapons systems analyst at the Defense Security Cooperation Agency, an agency within the Department of Defense. Bergersen provided national defense information on numerous occasions to Tai Shen Kuo, a naturalized US citizen and a New Orleans businessman. Much of the classified information pertained to American military sales to Taiwan. During the course of the conspiracy, Kuo cultivated a friendship with Bergersen, bestowing on him gifts, cash payments, dinners and money for gambling during trips to Las Vegas. Unbeknownst to Bergersen, Kuo passed along to an official of the government of the People’s Republic of China (PRC) the information Bergersen had provided him. As described in court documents, Kuo operated within the United States under the PRC official’s direction, committing numerous acts of espionage during the time period of the conspiracy. Former US Attorney David Iglesias of New Mexico considers his dismissal “a political hit” because he refused to file corruption charges against the Democratic Party. Another fired prosecutor, Carol Lam of San Diego, had convicted Randy Cunningham, a former Republican congressman now serving eight years in prison, before she was dismissed. As a result of the scandal, the US Attorney’s Office, the Department of Justice and several Bush administration officials were investigated. Among these was the President’s top political advisor, Karl Rove. Then Attorney General Alberto Gonzales also was heavily scrutinized regarding his knowledge of the firings. He eventually resigned. I need information on where and how to file charges against cyf of allegheny county and kids voice. Their employees lied under oath at a court hearing, defamation of my character with false testimony & having false no contact orders & Pfa's which kept my grandchildren in harms way by leaving them in the custody of a neglectful parent who is awaiting charges for child endangerment, obstruction of justice and another charge. I provided written proof along with pictures to cyf, kids voice and in court to the judge. all has been ignored, due to me speaking out cyf and their agency has tried to destroy my character and has kept me out of the lives of my grandchildren. the judge signed an order on April 20 2018 which has been ignored. they are in contempt. I will also be looking to file civil charges as well as bring attention by whatever means possible until this is looked into in the proper manner. I would like some direction to make the process more expediant. I know of some serious Civil rights violations and abuse of powers between a Rockwall County Judge and an attorney who use to be a judge one county over in Greenville Texas. The states atty office for Texas is fixing some of it. Like the judge purposely not filing child support papers with the state, using lunch break tactic to sway judgement one way or the other, to take financial advantage of litigants and several other things. To which I have rock solid proof! Who at the Attorney Generals office would I talk to about. That? Robert “Monty” Wilkinson was appointed director of the United States Attorneys by then-Attorney General Eric Holder on March 29, 2014. The United States Attorneys serve as the nation’s principal litigators, with its executive office providing guidance to its 94 offices across the U.S.
Wilkinson enrolled at Dartmouth College in 1979, earning his B.A. in American Studies in 1983. Two years later he began attending Georgetown University Law Center, where he earned his J.D in 1988. Wilkinson’s first job out of school was law clerk at the D.C. Court of Appeals. Then, in September 1989, he began a year-long stint as judicial law clerk to Eric Holder, who was at that time a judge of the Superior Court of the District of Columbia. In October 1990, Wilkinson joined the criminal division of the U.S. Department of Justice, where he worked as a trial attorney in the Narcotic and Dangerous Drug Section and the Organized Crime and Racketeering Section. Three years later, Wilkinson became special counsel to and frequent spokesman for the U.S. Attorney for the District of Columbia (namely Eric Holder), a position that lasted nearly four years. In July 1997, Wilkinson was back at the Justice Department to serve as associate deputy attorney general. A year later he took on the deputy director job at D.C.’s Court Services and Offender Supervision Agency. Then in January 2001, for a nine-month stretch, he resumed his position as special counsel at the D.C. office of the U.S. Attorney. By September, he was made that office’s executive assistant U.S. attorney for management, a position he held for five years. In August 2006, Wilkinson joined the Washington, D.C. office of the century-old international law firm, Troutman Sanders. A year later, he was back at D.C.’s U.S. Attorney’s office, this time as executive U.S. attorney for operations. But he soon heeded the call of the Justice Department again, which appointed him, in March 2009, as deputy chief of staff and counselor to the attorney general. Then in August 2011, Wilkinson was made principal deputy director and chief of staff of the Executive Office for United States Attorneys, again working for Eric Holder. He held that position for nearly six years before being appointed its director, succeeding the retiring Marshall Jarrett. Born in 1945, H. Marshall Jarrett started his career as a U.S. Attorney in 1975 as a trial lawyer for the Southern District of West Virginia. He then worked as Deputy Director of the Enforcement Division of the Commodities Futures Trading Commission. In 1980, Jarrett joined the Public Integrity Section of the Department of Justice, prosecuting public officials for corruption, later becoming Deputy Chief. In 1988, he became Chief of the Criminal Division for Washington DC, managing high-profile prosecutions, including those of Mayor Marion Barry and Congressman Dan Rostenkowski. In 1997, Jarrett became an Associate Deputy Attorney General, before being named as Chief Counsel of OPR.